I was playing around with the custom.db for SEA and discovered that some of the flights I had put in there weren't loading. After changing the arrival city to something I knew worked, they started showing up. 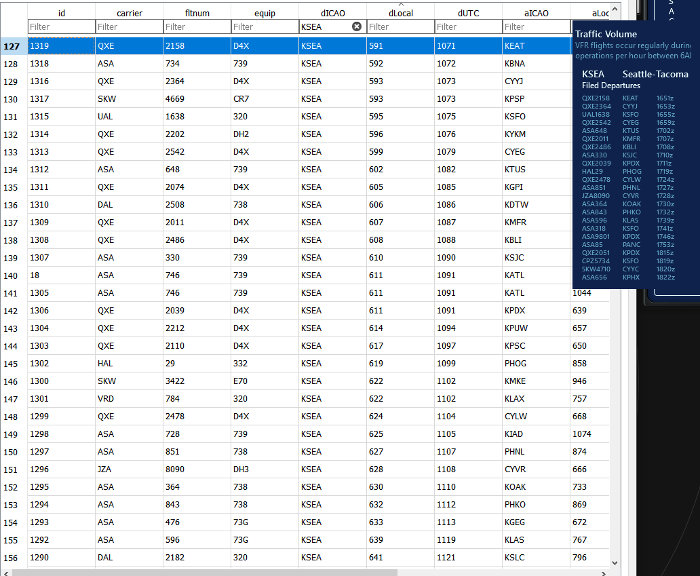 I decided to load up various times for departures (Example Below) and found that airports like KIAH, KDFW, KFLL, KMSP, KDEN, KLAX, KATL, KMDW, KORD, KBOI, etc.... weren't loading the flights at all when running South Flow, but were fine when running North Flow. I can only assume that there is something not getting grabbed right with the SUMMA departure for southbound flights. Not sure if this is intended or if it is indeed an error, but wanted to point it out here. Haven't checked arrivals yet. After hours of toying with this, I seemed to have fixed it and the SUMMA 7 is working again just like it should with all those flight loading up as planned. Seems the planner code wasn't liking the "VI" track code set for the 16 runways in the TerminalLegs in the DB. Removal of these restored the flight and the correct flight plan. Looks like it was just trying to generate the track and failing completely. Need to test more to confirm that all is good, but the flights are showing back up and departing on that routing. Further experimentation causes the SUMMA7 northbound to work correctly now as well by removing both the "VI" and "VR" track code lines for the Terminal Legs. Initially I found that North Flow flights were being sent to VAMPS and not SUMMA and are now being sent correctly to SUMMA. These are part of the instructions in the departure maps, but I am not sure the sim is processing them correctly. The north is still messy with those removed as the track can cause CA's if you aren't on top of it, but South is working as it should without the VI. I've tried this a few different ways and it gives some wacky tracks. Shot of the Summa departure completely lines up with this. I get the feeling that the NAV radials are doing something wacky. Not really sure how to get a track to work like that without the radial nav termination since there aren't any fix points. I tried it with CR and CI as well .. no dice.I'm basically doing a self-administered procedure change now and its working for that without any CA's. As soon as they hit the 150|SFC I climb them to requested and immediately pass them to approach feeder. By the time they swing around from that they are at around 8000. As for the times .. I don't fully understand how that is all put together. between the Local and UTC. I see many of the UTC times set for 50-60 minutes ahead. I can only assume this is to account for daylight saving or the schedule table was created when we were rolled ahead over the winter. An answer on that would be great to understand how the engine processes that data and if the UTC only affects the in-game display time. This is where the track goes wonky. 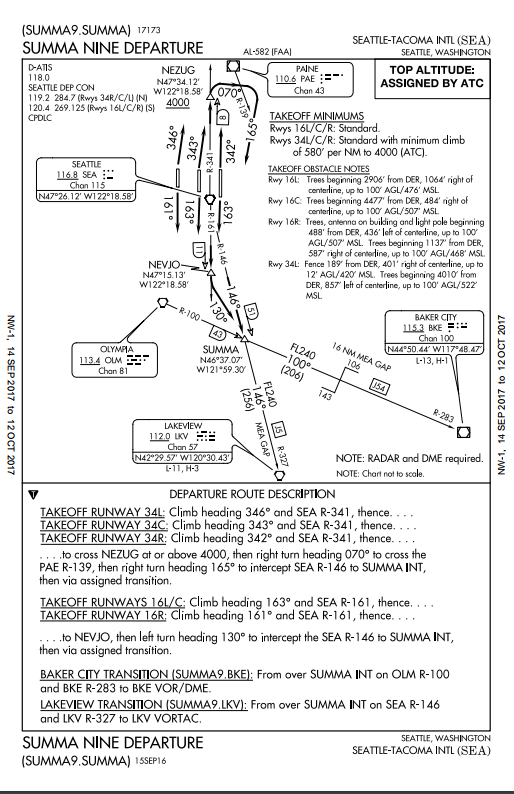 Setup as a 70 heading to terminate at a radial bearing of 139 from the PAE NAV. loadutc : I believe that is a 1 hour time where they use flexibility as Tom explained somewhere, is build in and means they can depart earlier to make it more interesting and not always see the same flights come and go. However from this you cant see if they use UTC or local times for the schedule, but it make a lot of sense to use UTC. Next thing is departures and these data used come from an AIRAC set of data and all the data is in the planning database and as many I have checked they are all correct. I can send you the one from KSEA for all dep and arr if you want to have it. 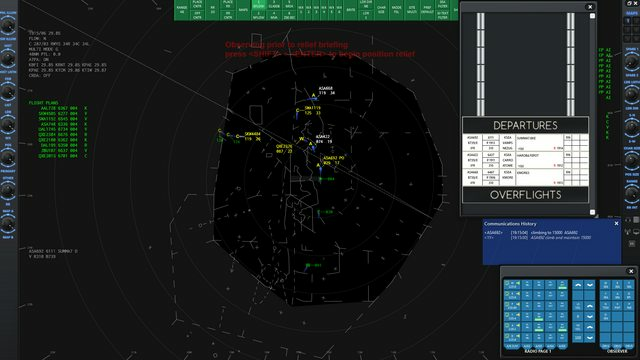 Buttom line is that ATCPRO is having some issues to interpret the data in the planning database. In going through the DB further, there are only about 200 entries that use the VR trackcode. Not hyper-complicated, but likely a process that would need some more love to get working. I am just happy now that SEA has more that the two standard routes with both South and North working. I will toy with that a little more for the SUMMA. Here's a couple more shots of the wacky routes that the V codes come up with. The first being with the default. I managed to do a hack job on the SUMMA7 after a week of toying around with it and it works almost perfectly now as per the image highlight below. They'll accept the direct and join to these points. I am still convinced there is an issue with the VR type. DM me if you'd like to get a hold of my latest planning file. Note that in addition to the SUMMA7 changes, this planning.db also makes alterations to altitude and speed restrictions to other S46 terminal legs and is a work in progress. 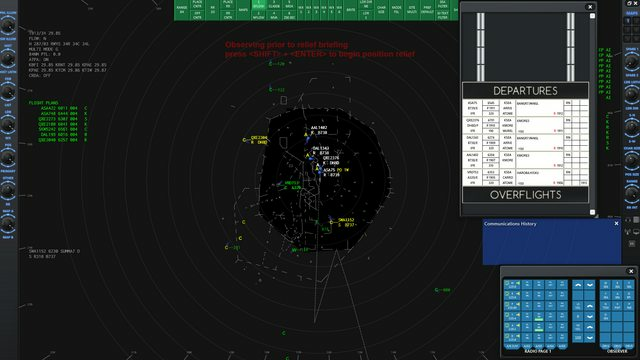 Issues that are more related to keeping the AI in check when climbing departing and delivering arriving A/C. It also helps with "decend via" decents that are functional for the key arrivals. In the bug thread, I also found there was a lot of duplicate flights in the schedule.db. I processed this through excel and manually identified over 100 duplicates. Not sure this was causing any issues, but they have either been cleared out or the flight numbers altered as to not cause any potential conflict. My modified schedule sans duplicates can be downloaded below. I ran it through several sessions tonight with no issues. Not sure that the dupes were causing any issues in the first place, but I have a need for keeping DB's as clean as they can be. I managed to get the SUMMA departures to work at some point, but ZSE wouldn’t climb them above 15k. Do you still experience this? No. not seeing that at all. I've made some adjustments to the altitudes on many of the routes now and it all seems to be consistent. Here is a quick shot of the AI controlling the route and climbing this one out. I only have an altitude restriction set on the 2nd fix in the route which is as per the docs at ATC discretion.